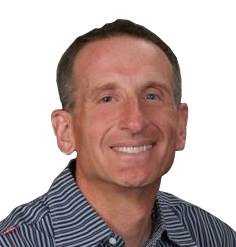 Richard Muscio, CPA, and host of the radio show, "It's Your Money and Your Life" will be presenting at the Lombardi Group's "Perfect Client" event on February 1, 2012 in Carlsbad, CA. The topic will be about how CPA firms must earn the "Most Trusted Advisor" status, which the CPA profession has recently bestowed upon itself. Being relevant in the economy of the present and the future means CPAs must be able to take historical data, and use it to help their clients make better sense of the future, even during busy seasons. If CPAs want to become the “Most Trusted Advisor,” then I say CPAs must EARN that title. As tax season begins to take over the lives of CPA's yet again, clients of accounting firms will find it nearly impossible to get forward-thinking advice again. Yet, significant literature exists in the CPA profession, whereby the CPA profession has granted itself the lofty title of “Most Trusted Advisor.” Witness the AICPA’s report “CPA Horizons 2025” and articles that have followed the release of this report. The self-granting of this moniker to CPAs, by the CPA profession, is ludicrous. I say hogwash. First, these professional service providers are equally as capable of becoming the “Most Trusted Advisor” as are CPAs, should they choose to use business models that are highly relevant to the client and the economy of the present and the future. Second, granting one’s profession a certain status, by excluding all other professions from that status because of reasons based in stereotypes, is both disingenuous as well as dangerous. So how can CPAs do this? They must first learn to shift their collective focus away from the past (preparing income tax returns and preparing financial statements and toward the future. Being relevant in the economy of the present and the future means CPAs must be able to take historical data, and use it to help their clients make better sense of the future. Examples of future-looking services include: business cash flow and profitability planning, business process attestation, business risk mitigation, real-time financial reporting, income tax planning, business succession planning, and family wealth transfer planning. These types of services possess true value, unlike commodities such as tax returns and financial statements. Further, to be the “Most Trusted Advisor,” the CPA must develop relationships with complimentary professional service providers, to the following extent: the CPA MUST become surrounded by other resources, on a collaborative platform, such that the client of the CPA firm can come to the CPA to get any and every problem solved, not just those problems that are CPA-centric. This means CPAs must become good at establishing, building, and maintaining relationships, all the while being able to check their egos at the door. This involves a much different skill set than what is required by “number crunching,” and should in fact aspire to a “servant leader” mentality. CPAs are without question positioned to earn the title “Most Trusted Advisor.” But will the profession ever change its backwards-looking ways, to really earn and thus deserve this lofty moniker? Richard Muscio, CPA, and San Diego talk radio host will be speaking on February 1st to Certified Financial Planners and wealth advisors about how they can work with CPAs collaboratively as trusted advisors at the Carlsbad Sheraton at 11:30am.